It turns out all our web development and communications expertise only helps when we can convince people to hire us. It also turns out we’re (quite) good at convincing people. See below. One of the largest energy companies in the world, Eni has been transforming its footprint in recent years, steadily increasing its commitment to renewable energy and fighting climate change. As part of this, its flagship publication, Eniday, chronicles this progress and brings attention on noteworthy evolutions in the energy industry, even outside Eni’s direct sphere. General Electric (GE) has been a worldwide partner of the Olympic Games, beginning in the Beijing 2008 Summer Olympiad. Since then, it has provided digital technology and infrastructure to every Olympic Games. In Rio 2016, GE’s contributions included equipping the medical facility for athletes, with its latest technology, updating the equipment at clinics in the city and upgrading public lighting in Rio neighborhoods with energy-saving, environmentally friendly bulbs. We Get Going provided support for GE’s internal communications during the Olympics, reporting on the installation and use of GE technology in Rio de Janeiro, the advantages being brought for the athletes, and even interviewed family members of medalists who happen to work for the company. Expat Assurance is the largest insurance broker in the Americas focused on the expatriate market, representing a number of European insurance heavyweights, including Allianz, MSH and April. For the last 15 years, it has been serving communities of expats from France, Spain, Argentina and beyond. We Get Going has proudly completed for a revamp of Expat Assurance’s branding, website, advertising, communications and social media. This is a prime example of the breadth we can offer to our clients. On the technical side, we redesigned the website, brought it onto our server, rolled out English and Spanish-language versions and took care of PPC campaigns on Google and Facebook. For communications, we pioneered a strategy whereby Expat Assurance would provide extremely useful for more than just its clients. Its blog is becoming a resource for expats in the Americas to find out essential information on the healthcare industry, ranging from maternity guides to alternative therapies. Interviews with experts, breakdowns of insurance policies, editorial comments on relevant developments in the region, the Expat Assurance blog appeals to any expat on this side of the pond. The Global Times is China’s second-largest English-language newspaper, aiming to provide a Chinese stance on global affairs. While known for its often controversial and agitating editorials, Global Times has also been able to chart China’s continuing engagement with the world. For the last four years, We Get Going has contributed weekly articles and columns to the Global Times on China’s international business dealings, with a heavy focus on foreign investment, free trade and environmental concerns. Zimat Consultores is Mexico’s largest domestic PR and communications firm, representing a veritable Who’s Who of companies and clients in the country, including Nintendo and Tesla. The agency prides itself on being able to pivot to more unique projects, such as planning the operating schedule, communications strategy and press access for Pope Francis’ visit to Mexico in February 2016. Since 2015, We Get Going has provided a range of editorial services to Zimat, including interpretation, translation, live-tweeting and conference reporting for clients in the energy, petrochemical and agricultural industry. 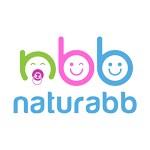 NaturaBB is Latin Americas’s primary resource for childbirth and maternity. From Mexico City to Medellin, it has become a reference for local and international families seeking advice before and after birth, as well as guiding young parents through the first years of their child. We Get Going provided the integral development of NaturaBB’s web presence, from website hosting, design and layout, to SEO and web positioning. This culminated in an extremely effective social media campaign, gathering over 10,000 likes in under a month. 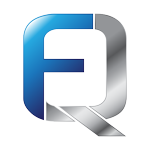 Quiroforce is the leading digital agency for chiropractors in the Spanish-speaking world. Our client offers online marketing services, website creation and reputation building to this healthcare sector. Since 2015, WGG has managed Quiroforce’s commercial arm, mainly through successful PPC campaigns, as well as providing technical consulting on web development matters.